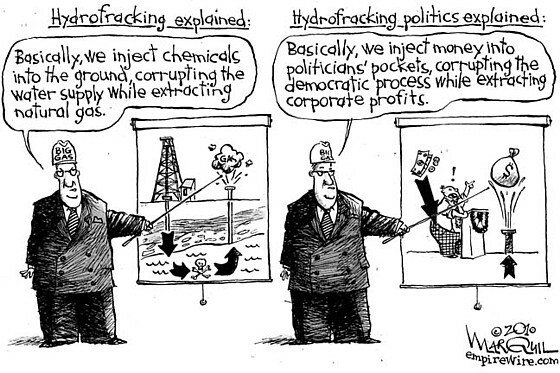 The Social Costs of Fracking | Food & Water Watch. Pennsylvania’s natural gas boom has brought thousands of new gas wells, a number of transient workers and a host of social problems. Food & Water Watch found that traffic accidents, civic disturbances and public health problems in rural Pennsylvania counties have increased since the shale rush began in 2005, diminishing the quality of life for residents of once-bucolic communities. Economic downturns like the Great Recession are often associated with negative outcomes, but these social and public health costs increased more in rural counties with the new shale gas wells than in rural counties without shale gas drilling. These negative social impacts were especially pronounced in the counties with the highest density of shale gas wells. The oil and gas industry has surged over the past decade by employing new techniques and technologies that combine horizontal drilling and hydraulic fracturing (or “fracking”) to extract gas from shale and other underground rock formations. Fracking injects large quantities of water, sand and toxic chemicals under high pressure to release gas tightly held in rock layers. Fracking has expanded rapidly in areas across the country, but Pennsylvania has been at the epicenter of the nation’s fracking boom, with nearly 5,000 shale gas wells drilled between 2005 and 2011. The fracking boom has brought heavy trucks crowding rural roads and out-of-state workers flooding small towns, often overwhelming local housing, police and public health capacities. The influx of transient workers with disposable income and little to do in their off hours is a recipe for trouble in small-town America, where alcohol-related crimes, traffic accidents, emergency room visits and sexually transmitted infection have all been on the rise. Much of the national discussion about fracking has focused on the obvious environmental risks, while the social costs of fracking have been largely ignored. This study is the first detailed, long-term analysis of the social costs of fracking borne by rural Pennsylvania communities. North Dakota Oil Boom Brings Blight With Growth as Costs Soar – Bloomberg. Hydrofracking Gives Chemung County, N.Y., Economic Boost – NYTimes.com. Gas boom forces out low-rent tenants | The Times Leader, Wilkes-Barre, Scranton PA – News. 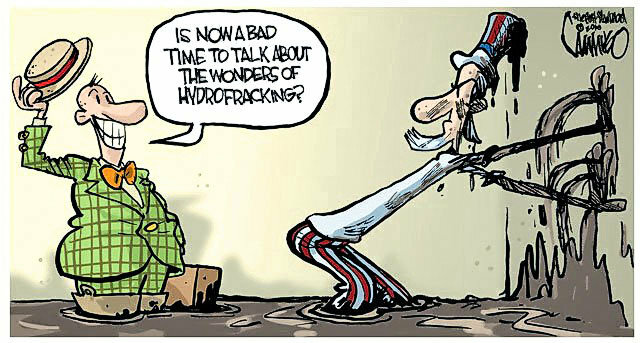 Fracking: Bane or boon? A look into industry’s presence in Pa. | Democrat and Chronicle | democratandchronicle.com. Oil Boom Puts Strain On North Dakota Towns : NPR. North Dakota Oil Boom Creates Camps of Men – NYTimes.com. Hoping to help the homeless – News – Daily Review. 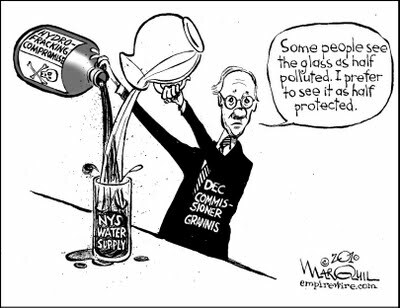 Aggressive upstate land grab sets up taxpayers for fracking fall-out.